Today I have an article from Akshay Nanavati, a Quantum Leap graduate, who shares the step-by-step process he used to land a foreword for his book from the Dalai Lama. Akshay’s book, Fearvana, is about not only overcoming your fears but turning them into health & wealth. 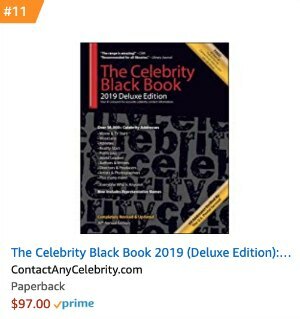 Since you’re part of the Contact Any Celebrity community, he’s even willing to give you a free copy (if you just cover shipping via my affiliate link above). As an unknown, first-time author with no significant platform, I managed to get a foreword for my book from His Holiness the Dalai Lama and receive endorsements from multiple New York Times bestselling authors like Keith Ferrazzi, Jack Canfield and Marshall Goldsmith, to name just a few. I was also able to promote my book on media platforms such as INC, Forbes, Entrepreneur.com, ABC, FOX, and many of the top podcasts in the world with millions of downloads, like Entrepreneur on Fire and Unmistakable Creative. I don’t tell you all of this to brag. I only tell you this to show you what is possible for you regardless of where you are now. You too can achieve all of this and more. Here is exactly what I did to make this happen. Follow these steps and I feel confident in saying that you will not only be able to replicate my results, but possibly even exceed them. I genuinely hope you do. Step 1 – This is a marathon, not a sprint. This first step is all about your mindset. If you want these kinds of results, they won’t happen overnight. It will require a lot of commitment on your part to navigate the highs and lows of the journey. Eventually when you do build up enough momentum, people will start coming to you. Exposure fuels more exposure, but it takes time and effort to get there. So you need to be willing to stay in this for the long game. Step 2 – Build structure around your outreach process. List out all the names of the people you would like to endorse your book, the podcasts you would like to be interviewed on, the media outlets you would like exposure on and/or the blogs you would like to be featured on. Build a robust list so when you start the outreach process you don’t have to waste time figuring out who to reach out to next. The structured approach will ensure greater success. Step 3 – Start reaching out. For the people I asked to endorse my book, including the Dalai Lama, I shot a personal video for them. This strategy was a game changer. These videos were anywhere from 2 to 4 minutes. In the video, I shared my story of going from drugs to the Marines to war to overcoming PTSD and alcoholism that pushed me to the brink of suicide, how that all then led to the concept of Fearvana, how Fearvana aligns with their own philosophies, the greater impact I want to make in the world and I made sure to have a very clear ask. To make the ask, I would say “with your permission, I would love to send you a copy of my manuscript with the hopes that you would consider endorsing it.” That’s it. For the writers I connected with, I would reach out via email. I would start building a relationship just by thanking them for their work and sharing how their content has made an impact in my life. Of course, this should be genuine and not just a lie to try and get exposure. It will come through if it is a lie. To me, more than just getting exposure, this was also about connecting with amazing people who are up to great things in the world. As an attendee of the National Publicity Summit and a graduate of the Quantum Leap program, that training has been invaluable in the success of my media outreach. I still have Steve Harrison’s easy pitch formula sheet in my media kit I use whenever I am pitching anyone. Their training also helped me come up with effective media hooks to get more exposure, such as tying into a local event I was attending. For example, when I was going to Chicago to speak at the Lion’s Club centennial event, I cold-called ABC and FOX, and got on both those shows in the third biggest television market in the country. Build up momentum with local TV and it will eventually help you get on national TV. Ultimately though, the key element in reaching out is to come from a place of service and genuinely caring about the impact you want to make in the lives of our human family. 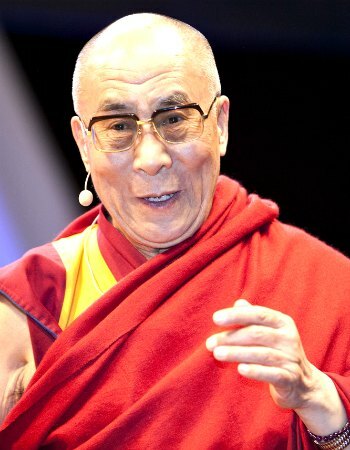 I would not have gotten an endorsement from the Dalai Lama if that wasn’t my top priority. Step 4 – Embrace your fears. Part of this process is strategy and how to’s. The other equally, if not more important part of the process is mindset. When you shoot these videos and begin your outreach, you will experience moments of fear, self-doubt and feelings of not being good enough. That’s okay. Believe me, I went through all of it. To guide you through this, know that there are no bad or good emotions, there are only emotions and it’s up to you to decide what you do with them when they show up. Whatever you feel throughout this process, allow yourself to fully feel it without judging those emotions. Simply harness them and channel them into purposeful action. Fear is nothing more than an access point to the bliss and rewards of a state of being that I call Fearvana. Embrace your fears and they will help you with the next step. Step 5 – Deliver immense value. A simple technique to deliver immense value on any kind of media outlet is to strike a balance between your humanity and your expertise. Share your hero’s journey of the lows and highs you have experienced in life along with actionable takeaways. As long as you communicate emotionally compelling stories with practical steps people can use in their life, your audience will love you for it. Step 6 – Build and nurture your relationships. It is important to remember that when someone promotes you to their audience, that is an audience they have worked hard to build. It takes time, effort and energy to write articles or create a podcast. Acknowledge and thank those people for sharing your message with their tribe. A small gift doesn’t hurt either. I usually give Amazon gift cards. Stay connected with the people who support you and ask them how you can be of service. When they tell you, actually deliver on their request. Step 7 – Ask, ask, ask. I learned this from Jack Canfield, co-creator of the Chicken Soup for the Soul series. Always be willing to make an ask for what you want, in a courteous way of course. For example, after being interviewed on a major podcast, I knew the host was well connected to another podcast I wanted to be featured on. I simply reached out and asked if he would be open to an introduction. If you don’t ask, the answer is always a no. If you follow the previous steps, people will more than likely be willing to help in any way they can. It took me 4 months from the point when I first made contact to the Dalai Lama’s office to receiving the foreword. Throughout that time, I maintained communication with the monk in his office. I went through a lot of fear, self-doubt, and concern that they thought my book was garbage. But I followed step 4, rose above those feelings and remained committed to my mission with patience and persistence. Your book is your baby, it is your life’s message being shared with the world. But marketing and promoting it is hard, it’s very hard. I assure you it’s worth all the effort though, especially when you get a message from someone telling you how much your work has made an impact in their life. Follow these steps and you too will be able to transform your book into a movement and touch the lives of millions across the globe. Akshay Nanavati is a Marine Veteran, speaker, adventurer and entrepreneur. His new book, Fearvana, is an actionable guide on how to turn fear, stress and anxiety into health, wealth and happiness.